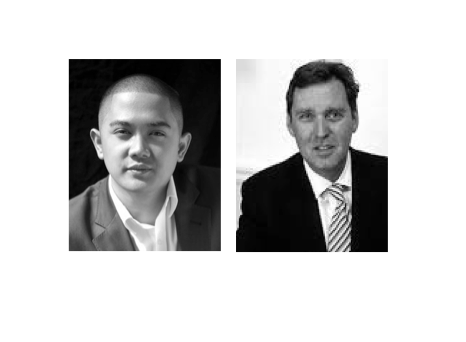 Alan Milburn & Alvin Carpio In Conversation: Do Young People Stand a Chance in Modern Britain? In February, Alvin Carpio joined Lancaster University's Chancellor, the Rt.Hon. Alan Milburn, to discuss the prospects for Britain's millenials. Alvin Carpio: I know you aren’t able to be join our panel ‘Do Young People Stand A Chance in Modern Britain?’ in person on February 20th in Lancaster, so great to get your thoughts on the subject. I’m interested to talk to you about poverty, and particularly poverty faced by young people across the country. The current state of affairs is that there are more young people now in poverty than pensioners. It’s predicted that average wages won’t rise as fast as the baby boomer generation when they were our age. Especially in the context of rising living costs and higher rents. What do you think is unique about the situation millennials face, and what do you think can be done about it? Alan Milburn: Well, it’s quite a change in the state of affairs, because 20 years ago or 25 years ago, the idea that there would be fewer pensioners in poverty than young people in poverty would have struck most people as ridiculous. But that is where we are. And, by the way, it tells you something about how public policy, when focused, can produce a real result, because that is in good part due to good public policy playing a role. I think there is a big debate now about intergenerational unfairness. I think that’s a good and welcome debate to have. I think there is a risk in the debate that it polarises the young against the old and, as I’ll maybe say in a moment or two, I don’t think it is quite as straightforward as that. I think it’s much more nuanced in fact. But there is no doubt that if you look at certain aspects, particularly of public policy, for example, it would be hard to argue against the notion that that is skewed in favour of the old, rather than the young. If you’re pretty cynical, you might say that that’s for pretty straightforward electoral and political reasons, i.e. the old vote and the young don’t. In some senses, public policy is exacerbating that divide, most notably this notion of a triple lock protecting pensioners’ incomes, regardless of whether they’re very wealthy or very poor. So, I think there’s a very welcome debate now that is taking place about what is the right balance to be struck. In some ways, this has never been a better time to be young. Yes. The opportunities are legion. In some ways, things are getting better for young people. Certainly, absolute levels of child poverty are now at a 20-year low. More young people are going to university, including more working-class youngsters going to university than ever before. So, on the face of things, it all looks pretty rosy, but beneath that generalisation, I think there is some nuance, and it really does depend which group of young people you’re talking about. Alvin Carpio: I really want to get to the point you just made, and quite a lot of people have made, around the intergenerational debate and whether it is black and white , or actually it’s more nuanced. In terms of actual policy-making, do you think, for example, that there should be a set of reforms which would help transfer wealth and benefits from older people to younger people who face hardships? I’m thinking about this in the context of the London mayoral election that’s coming up. It might be a vote-loser to remove free travel from pensioners despite some people being able to afford these travel costs. But given that many young people are struggling even to afford to travel to find a job, these are the sorts of tough questions which we need to answer to really make a dent in poverty across the country. What do you think? Alan Milburn: Well, I think there should be income distribution and opportunity distribution between people who are better off, whether they are working-age adults or retired adults, and those that are less well off. I don’t think it’s a straightforward question of a redistribution from the old to the young, although that has a part to play, I think. Let me give you a for instance. It just seems anomalous, to me at least, that people in… You mentioned London as an example. You don’t have to be 65, the old retirement age, to get a free Oyster card. And you don’t have to be poor at 61 to get a free Oyster card so that you can travel wherever you want for free in London. You can be extremely wealthy. You can be from Hampstead, not Hackney, and get free travel. Do I think instinctively that that is right at a time when we have growing inequality in our society, this divide, as you say, between the young as a group and the old as a group, and enduring and entrenched poverty? Of course I don’t. So, I think public policy has to take a long, hard look at some of these things, whether it’s free TV licences, free bus travel, winter fuel payments, and so on. My view, for what it’s worth, is, in particular for those better-off pensioners… And there are now thankfully many better-off pensioners, both because of public policy interventions, but also, frankly, because this has been a golden generation for people who’ve been in work and then retiring. Because they have had the benefit of income-related pensions when they retired. I think we have to seriously look at that. Just to finish the point, it’s one of a suite of interventions that I think public policy should be making. Alvin Carpio: Yes, but isn’t the question here whether or not politicians will be forgiven, or voted in, if they were to even try and remove those benefits? Alan Milburn: Well, my whole experience of being in politics and being around public policy is that change begins with an argument. It doesn’t begin with action. It begins with an argument. That’s why this conversation and the debate that is happening about intergenerational unfairness is a really important one, because, yes, of course it would be a difficult thing. No-one likes to have things taken away from them. People like to receive rather than to give when it comes to issues around taxation and public spending, and so on and so forth. But this is a very real and important debate that we have to have. As our society ages and the gulf between people who are better off and those who are less well off, both in terms of income and in terms of opportunity, widens, then that is a debate that we really must have. The reason that we’ve got to have it, I think, is that the country will not be at ease with itself if we continue to see this yawning chasm between the haves and the have-nots. Between an elite that is doing extremely well, and the rest. Not just low-income Britain, but large chunks of middle-income Britain who are seeing income stagnating and opportunities not going forwards, but going backwards. Alvin Carpio: Yes I agree, let’s start the debate and hopefully the argument will lead to action, and maybe even starting in Lancaster when we can bring people together from all different ages. We really need to have the conversation. I’m going to move on to another question. We’ve talked about millennials and the fact that they are generally having a tougher time than the previous generation. So let’s talk about the future. If wages are stagnating, progression is much harder to come by, particularly for the poorest of our young people, what’s going to happen to their babies who are now know as centennials? Will people be put off starting a family because they can’t actually afford to rent or buy a home? Maybe they’ll have babies at a much later age or maybe hoose not to have babies. What do you think will be the impact of this on our demographics and the future generation? Alan Milburn: Well, I think it’s a very important question. I think in some respects, as I say, things have never been rosier. The opportunities look more legion. But there is evidence to suggest that today’s generation of young people, yet alone the succeeding generation, might not make as much progress - in societal or indeed in economic terms - as their parents’ or grandparents’ generation. So, take home ownership as an example. It is not just in London that levels of home ownership amongst the young are in decline. In fact, across the country as a whole, over the course of just 20 years, levels of home ownership amongst young people have halved. That is a pretty dramatic change in the housing market with implications, not just for today’s generation, but for succeeding generations. Of course, a house is probably the most important asset that anybody will receive in terms of their income and their wealth. There are fewer young people on the housing ladder, able to buy a home, and in London in particular home ownership is now being delayed such that, on average, you don’t buy a home in London now until you’re 41 or 42. That is quite a profound change. Alvin Carpio: How about the point about actually deciding whether or not to start a family which is linked to that the statement you’ve just made? Do you have any thoughts on that? Alan Milburn: We don’t yet know what the behavioural impact will be. There does seem to be some data around to suggest that people are making much more conscious decisions about when they can afford to have a family, and when they cannot. If they’re in a world where there is rampant uncertainty, high levels of volatility, inequality in the labour market, where incomes certainly for the last decade have largely been stagnating, that must have an impact on the choices that people make. So, there are some very worrying trend lines here, and I think that it is very important that these are issues that are confronted. And, by the way, not just by public policymakers, but also by educators and employers. If you like, the glue that has held British society together over successive generations has been that the succeeding generation will always do better than their parents’ generation. And that if you put in effort, you get a reward. That is certainly what I was brought up to believe as a working-class kid. That if you made some effort, that you stuck in at school, that something good would happen. Now, if we’re in a world where people are sticking in, are trying hard, but those efforts are not resulting in a contribution back from society, that’s when you have the risk. Not of social cohesion, but of incohesion. You have the risk, not of a society that is at ease with itself, but a society that faces deep social tensions, and I think you can already see some of that being played out. So, in my view, a wind of change really needs to sweep through the country. We should not be accepting that in the fifth wealthiest country in the world, we have 2.3 million children today who the government officially classifies as poor. We shouldn’t be accepting that if people are doing the right thing, going out to work, standing on their own two feet, getting into gainful employment, that if you’ve got a job, that somehow or other it’s okay that you live below the poverty line. That can’t be right any more than it can be right that the schools that are failing the most are those that are in working-class areas serving disadvantaged communities. So, at all levels, as I say, a wind of change needs to sweep through the country. The truth about Britain is that over decades we’ve become a far wealthier society, but we struggle to become a fairer one. I think the penny has dropped, and I think the global financial crisis and what has happened since was an absolute inflection point. People have now begun to realise that unearned wealth for a few at the top, deep and entrenched poverty for those at the bottom, and stagnating opportunities for many in the middle is not really a viable social proposition for Britain. So, something has got to give. Alvin Carpio: I recall a talk you gave recently about the big challenges that we face from the impact of inequality on our national solidarity to the power of education to be the great equaliser. Given that this summer marks five years on from the riots which shocked Great Britain in 2011, where do you think things stand at the moment? I was at Davos last week representing the United Kingdom, talking about poverty in the UK amongst business and world leaders. A big theme there was around the fourth industrial revolution in terms of the impact that technology will have on our labour market and on our economy. Do you think technology is helping to address poverty or will it actually exacerbate it? Alan Milburn: Well one thing is for certain: we are already living through this. The impact of digitalisation, the sense of new technologies - whether it be 3D printing, nanotechnology, mobile health, driverless cars, smart houses - these are going to be things that are going to be upon us before we know it. So, the pace and the scale of change that we’re going to see is like nothing that humankind has ever seen before, in my view. Now, can it bring social benefits as well as economic ones? Of course it can. Equally, the risk is that we have an unequal distribution of benefit. In particular, in the labour market, there is a very real risk of what the academics call the hollowing out of the middle tier of the labour market. What’s happened over the last 20 or 30 years is that you’ve had a segregated labour market between top and bottom. You have people at the bottom without qualifications, with low levels of educational attainment, living in a twilight zone of endemic insecurity, constant low pay and frankly little prospect of social progress. Then you’ve had lots of people in the middle with qualifications, able to get on, enjoying relatively large increases in productivity and pay, and pretty good prospects of social advance. What you now have with this fourth industrial revolution notion is the potential of a hollowing out of those middle-tier jobs, whether they be clerical jobs, administrative jobs, retail jobs. You’re beginning to see it at the front end in supermarkets already, which are beginning to disappear. If that results in more displaced people with fewer opportunities to progress in their careers, then, boy oh boy, are we storing up a social problem. If you’re an optimist, however, and I am, and believe me, if you’ve been in politics or in public policy, or if you believe in social mobility, then you’ve got to be an optimist then if you see another thing happening, which is that education is going to become ever more important to life chances, there are good reasons for optimism. The data is unequivocal. The more you’re in education, the longer you’re in, the better you do in it, the more prospects you have for social advance. Thankfully, education prospects are becoming better, not worse. We have a record number of people in higher education. We have more low-income families sending their kids to universities than ever before. Actually, defying those who said that the introduction of tuition fees would lead to a deterrent effect for lower-income families. You’ve got more and more people doing better. The problem is that you still have a correlation between poor schools being in poor areas, poor kids doing worse than better-off kids. And what is even more terrifying, bright, able kids from poor backgrounds being overtaken by wealthier kids with less ability during school. Now, that rot we have to stop, and that means we have to work more intentionally and ever harder to ensure that there are more of the good schools in the poorest areas. We get the best teachers, by paying them more, into the worst schools. We ensure that the doors of educational opportunity, whether they are in the early years services, whether they’re in schools or colleges or universities, are thrown further open. If we do that, then the fourth industrial revolution can be an opportunity for all rather than, as some fear, an opportunity just for some. That is a stark choice. Technology is not neutral. Industrial advance isn’t neutral. It depends on the choices that societies make, and that is a choice, in the end, that is one about politics and public policy. So, I don’t regard any of these futures, one which is more equal or less equal, being inevitable. It depends on the choices that individuals make, citizens make and, critically, that politics makes. Alvin Carpio: Well, it’s definitely a set of causes and a mission which I’d happily want to work on with you. And I believe there are many young people who will read this interview who would like to get involved too. Wrapping up, of course we’re in a time when, yes, investment from governments is likely to be less forthcoming during austerity. Given the blip with the Chinese markets, I’d say the economy is still pretty shaky, which means the idea that we’ll be investing more at a time of austerity is unlikely. What, then, do you think can be done? If it’s not the state’s role - if the state’s role is going to be less in the next few years, if not a decade - what is the role of citizens and businesses and people who will be reading this interview?? What’s their role in addressing poverty? What is the public’s role in helping transform a country to help give better opportunities to people who are from disadvantaged backgrounds? Alan Milburn: Well I don’t agree with David Cameron on eveything, but I do agree with him: when he says, “We’re all in this together.” I believe that fundamentally. That if we’re going to make progress socially against some of the headwinds that we in Britain and across the world face economically, that will require a national effort. It will require governments, of course, to take a lead, but it will require educators and employers to step up to the plate. So think, for example, about what is happening in the labour market, where you’ve had a stagnation in real incomes. You’ve had, particularly at the bottom end of the labour market, 5 million people, mainly women, who earn less than the living wage. These are the people, by the way, who do all the right things. Who go out to work. Who, in the parlance of some politicians, “Strive, not shirk.” Yet they do not earn enough to escape poverty. That’s why things like the living wage, which are about recognising the contribution that people make, have been so important. The living wage didn’t come from government. It actually came from employers and charities and trade unions, and others, arguing that everyone should be able to share in the economic proceeds of growth. So, I think business and employers don’t just have an economic role; they have a social role too. Thankfully, more and more of them are recognising that and beginning to step in, and the same is true for our universities, our colleges and our schools. Their job is to ensure that opportunities, which have never been greater, for education and learning are as wide open as possible to those with aptitude and ability and potential. So that we can genuinely say that we’re moving towards a Britain where it’s not your background or your birth, but it’s your aspiration and your aptitude that allow you to get on in life. Government will have a part to play, and in my view has to lead this national effort. But in the end, in order to be successful, it will require a national coalition of local communities, local government, local employers, local schools, colleges and universities. To work together for that common social purpose. Alvin Carpio: Well, thank you so much on that. Coming from another guy who’s come up from a similar working-class background to you, I just want to say thank you for all of the work you’ve done to try and address these major issues that the country faces over your career. Hopefully, we’ll be able to talk again soon and achieve some of the things that you outlined during this conversation.